Screened in Parliament to 170 mps at the official parliamentary memorial for the 6 month Anniversary on 12/12/ 2017. WARNING: This film contains traumatic footage and very graphic and prolonged imagery of fire. Stowe Films are a collective of film-makers,young people and local residents who met at The Stowe Youth Club on the Harrow Road 10 years ago. 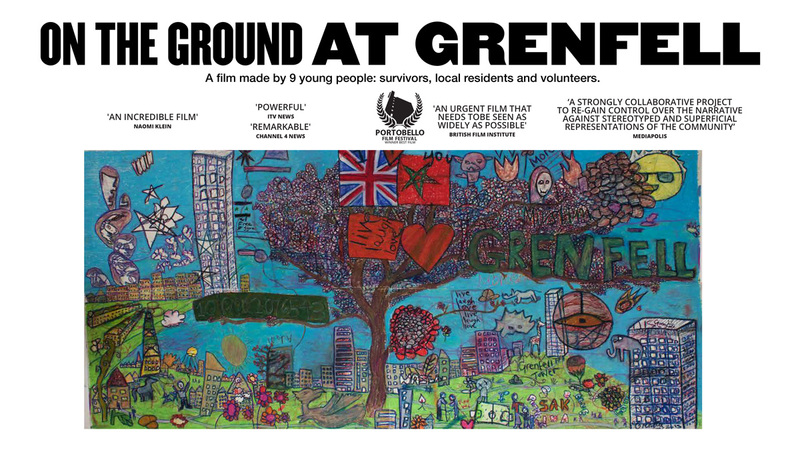 We were making a film about the closure of the youth club when the Grenfell fire happened nearby and directly affected members of our team. We began recording the testimonies of survivors, residents and volunteers because we felt - and still feel - the atmosphere on the ground is very different from what you see on the news. We hope this ongoing project will preserve these testimonies for future generations and give a voice to young people in particular, who were heroes during and after the fire and ‘deserve recognition’. The survivors are already being forgotten about and ‘treated as statistics’ but the humanity and morality of the community is the clear message of this project.